Suddenly, neuroscience seems to have become a hot topic. But does understanding how our brain works really help us to perform better? Rather than talking in generalities this is a question best answered by looking at specific applications. We’re going to start by focusing on whether neuroscience could help us have more of something pretty much everyone would like more of – those eureka moments of insight! If you know what is happening in your brain when you produce such inspirational new thoughts, you might just be able to put yourself and your colleagues in the right place and the right state for such insights to happen more often. Insights occur when people put together ideas that are only loosely associated in their heads. This is hard work most of the time since our brains are designed to put together the ideas that are most strongly associated. You can see how this works in everyday life. For instance, if we ask you to think of a bird, you are more likely to think of a robin or a blackbird (common types of bird) than a penguin or an emu (which are unusual birds). In order to have insight, we have to inhibit strong associations so that the weaker and new associations can come to our attention. Put another way, insight happens not when we are focussed intently on a solution (and so activating common answers), but when we are allowing our focus of attention to drift beyond the problem at hand (when our brain has access to more options). It is when we are not earnestly thinking about the solution that insight or AHA moments occur. Recently, scientists have shown that people who are in positive moods solve more problems – and are more likely to solve these problems using insight – than people who are less positive or even anxious. Scientists are now beginning to work out why positive moods are conducive to producing insights. Participants are asked to solve problems where they are given three words (e.g. tooth, potato and heart) and asked to think of a single word that can be used in conjunction with each of the three words. If the participant solves this problem, they are then asked whether they had to work at a solution by trial and error (cognitive problem solving) or whether they came up with the answer suddenly and just knew it was right (insightful problem solving). What researchers have found is that an area of the brain – the dorsal anterior cingulate cortex – is more highly activated both when we are in a positive mood, AND just before we solve problems using insightful but not trial and error processes. Why is this part of the brain so important? One function of this area is to inhibit our strong, learnt, habitual responses to typical situations, allowing those more indirect responses to come into awareness – exactly what we need to be more insightful. Another thing this brain area does is to take note of our emotional response to events – exhibiting higher activity when we are happy. These two separate functions just happen to be controlled by the same area of the brain. So, positive mood does not directly cause you or your people to be insightful. Rather, anything that activates the area of the brain which inhibits our habitual responses helps us to be more insightful – and this includes being happy! 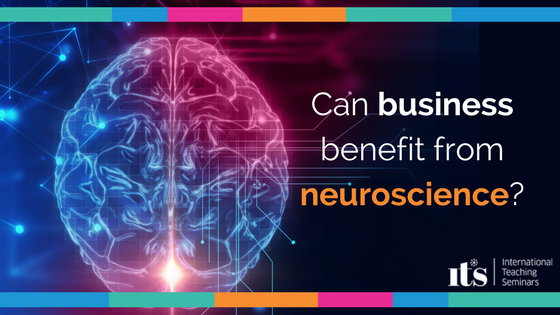 If you want to be more effective as a leader start putting neuroscience to work for you. Ask yourself do you know how to create optimal conditions to maximise creativity in you and your team? Do you know what to do next? Come up with a few more ideas that would allow you/them to focus more widely on a problem – anything that stops you going back to your habitual ways of thinking and that puts you in a great mood. Think of some situations in which insightful solutions would help you/them move forward. Learn what enables you/them to change state at will to avoid excessively narrow focusing. If in doubt, consider learning to meditate as good research indicates it does this well. Is this way of doing things neuro-effective™? Or to put it another way, are you, your team and the organization working with the way the brain works – or not? For practical next steps contact the Neuroeffective Team. To learn more about how you can apply neuroscience research personally and professionally visit our Neuroscience Learning Zone.